The new president of the European Economic and Social Committee, Luca Jahier, intends to promote a new culture of dialogue around sustainable development, culture, peace and youth, in order to bring citizens closer to the European project. “We are currently witnessing a widespread crisis not only of traditional parties but also of participation in traditional political life,” the new EESC president told EURACTIV on Wednesday (18 April), the day he took up the post in the Commitee, often referred to as ‘the voice of the European civil society’. “New forms of debate are needed to strengthen participatory democracy and, in turn, bring citizens closer to the European project. And they must be articulated around sustainable development, culture, peace and youth”, he recommends. Jahier, born in Italy, graduated in political science and went on to become a journalist, political scientist and expert in associative movements. Between 2011 and 2018, he chaired the EESC Group III (“Various Interests”). He supervised a report on the social dimension of the Economic and Monetary Union. Created in 1957, the EESC is seen as the institutional bridge between the EU and civil society. It was set up to allow all stakeholders to be heard by the Commission, the Council and the Parliament, and to act effectively on the EU’s decision-making. The Committee’s opinions, adopted by 350 members from three groups (employers, workers and various activities), strongly emphasise its expertise and its link with the real world of employment, in its various components. Jahier pointed to the 2007 “Grenelle Environment” as an example to follow when seeking dialogue and participatory democracy, and described it as “an extraordinary and unique moment in the history of the European Union”. Between July and October 2007, the Grenelle Environment brought together representatives of the state, environmental NGOs, social partners and local authorities. Their working groups defined objectives in a number of areas: biodiversity and natural resources, climate change, relations between the environment and public health, production and consumption patterns, the issue of “environmental governance” or “ecological democracy”, the approach to genetically modified organisms (GMOs) and waste management. And that brought him to a project involving the EESC and its field expertise in inaugurating these new debate formats: the citizens’ consultations on Europe. Inaugurated on 17 April by French president Emmanuel Macron in Strasbourg, the citizens’ consultations on Europe will take place until October 2018 in 27 member states of the European Union. Marcon first proposed them in a landmark speech in September 2017. 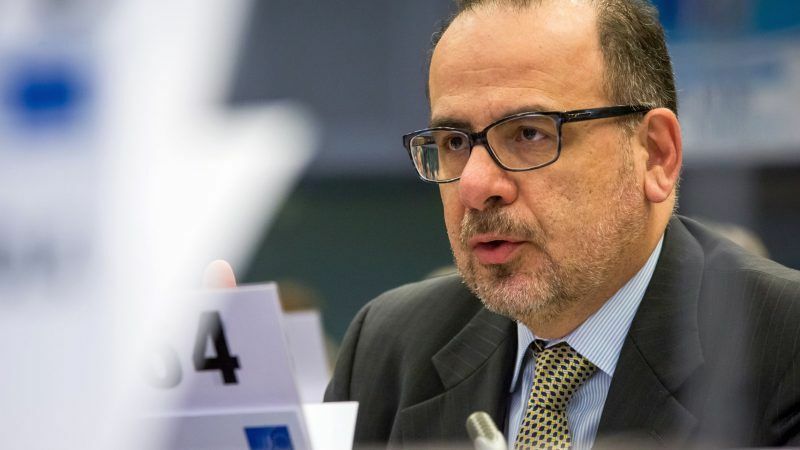 The EESC takes part in this campaign, which aims to gather the proposals of European citizens for a rehaul of the European Union, which Jahier calls ‘rEUnaissance’. “We have confirmed with [French Minister for European Affairs] Nathalie Loiseau that we will support these consultations within our mission. Though the responsibility of those events remains within the member states,” Jahier said. While the outlines and proceedings of these consultations have yet to be defined, he welcomed the concept of a dialogue involving European citizens. “These new forms of debate are emerging at a time when Europe is surrounded by conflict,” the head of the EESC pointed out. In the face of this upheaval, Europe stands a chance, if it plays its cards right. “Not only is the volume of resources mobilised by Brussels impressive, but Europe also has the institutional capacity to successfully execute the European project,” Jahier concluded.